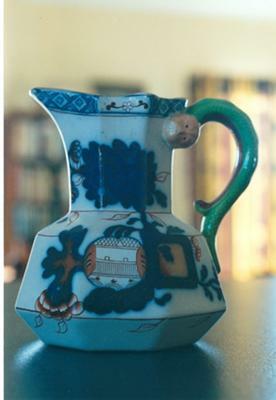 Inherited Royal Doulton Toby Jug from the 1902 to 1922 era. I inherited a Doulton Toby Jug from the 1902-1922 era, with a face on the handle and a floral type pattern on the sides. The base is approx 90mm in diameter, the jug is 6 sided and stands about 160-180 mm in height. 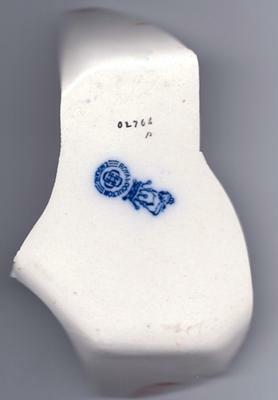 On the base of the toby jug is the Royal Doulton crest for the1902-1922 period, with the number 02764 and what appears to be the symbol “p”. Unfortunately my doulton Toby Jug was destroyed during the Christchurch earthquake on 22 Feb and I am desperately trying to find some idea of its true value. If anyone can offer help it would be gratefully received. Confused for a moment by the shape of the Toby Jug base but I see it’s just a broken shard off the original jug. Will have a look and see what values I can come up with.